The Beauty Scoop! 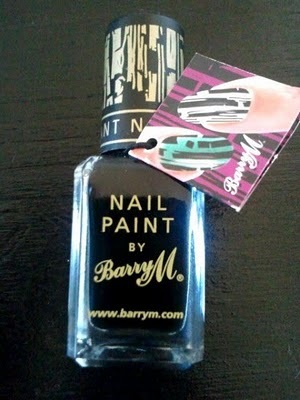 : Win Barry M Instant Nail Effects Polish On The Beauty Hall! Win Barry M Instant Nail Effects Polish On The Beauty Hall! This stuff is creating massive ripples throughout the blogging community, with many amazing pictures being posted. I've yet to get my hands on some but I thought I would link you to a competition so that you can try to win some of your own as it really does look fantastic. If you do win, be sure to post up your pictures so I can have a nosey as I'm loving seeing the different colour combinations and effects. Swatched - Sleek Bad Girl Palette! Bobbi Brown Shimmer Brick - Rose! Victoria Beckham Recommends... Stila Foundation! Hair Removal - Threading To Be Precise! Yardley April Violets Now Out!